-- Has a modular design in order to be adapted to needs and technology innovations. 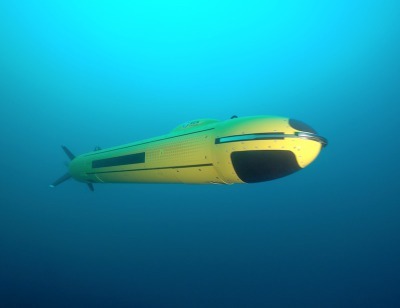 The sale price of the A18 AUV ranges from 1,5M€ to 5M€ depending on options and embarked sensors. *UMIS: Unmanned Maritime Integrated System - Naval robot system developed by ECA Group to ensure the safety of maritime areas. UMIS includes a combination of robots of different types (USV, ROV, AUV, UAV) as well as a complete software suite for robot mission command and control as well as the management and processing of collected data.